If you are reading this you may have recently got an email from nofraud.com after making a purchase online? Or maybe you run an online store like Shopify and you are looking for a fraud prevention service. Either way, you are obviously wondering if NoFraud provides a legitimate service right? In short, the answer is yes, but if you would like to know more continue reading for more details. NoFraud is a service that e-commerce shops such as Shopify may use to prevent credit card fraud. They are not the only service of this kind. Signified and Riskifed are two other popular fraud prevention services which e-shops may choose to use. 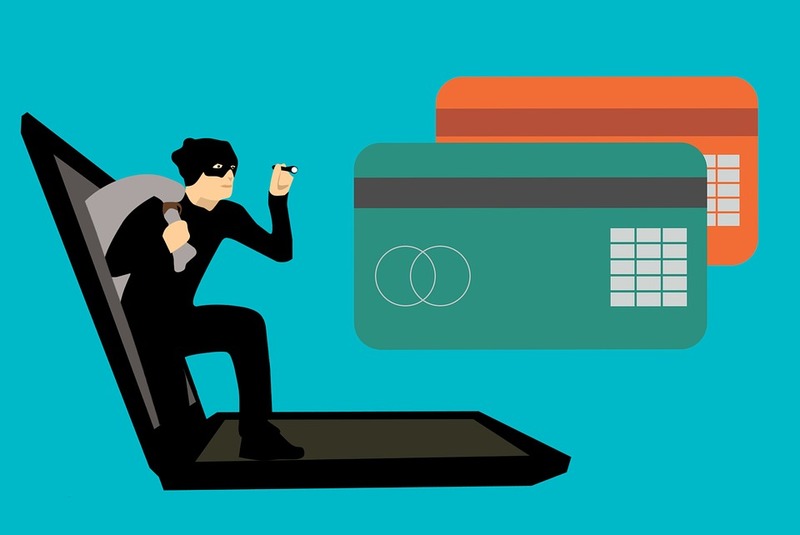 Ultimately the main reason online shops use them is to prevent chargebacks from, credit card companies. How Does NoFraud Checks Work? Usually, customers have no idea their order is being verified by NoFraud and go through without any trouble. But sometimes they are unable to validate an order automatically. This is when customers may receive an email from them with a request. The request may be as simple as reply yes to this email if you made this purchase. However, sometimes they may also request additional information. Usually, it's two images. First is an image of a valid ID. Second is an image of the credit card used in the transaction. Sending an image of one's credit card over email understandably makes folks uncomfortable. Lucky they allow customers to block their first 12 digits and the CVV. So only the last 4 digits and cardholders name are left visible in the image. Please do, so if you are asked to send your information. I have seen reports of customers still receiving their orders with no delay in shipment even after ignoring the verification process. But I would not bank on that happening unless you are ok with not receiving your order. Credit Card purchases with low-risk go through their automated review process which happens very quickly. In the end, you will be notified that the customer either passed or failed the process. For high-risk transactions, the process works much differently. Their fraud analysts will manually look over the transaction and possibly ask for more information the customer. Are NoFraud Checks Legit Or A Scam? NoFraud checks are a legit part of a service for online shops for credit card fraud prevention. Although they do sometimes require customers to send them personal information. They don't require any compromising personal information such as customers Social Security numbers. They do ask for an image of your credit card but allow you to block the compromising information it contains. Requesting the information they ask for is pretty standard for credit card fraud prevention companies. You may be surprised to learn about free tools that manually allows you to make similar evaluations for yourself. Shopify, for instance, has a built-in fraud filter. To bring it up you will need to click on "view full analysis". The Filter will let you know if a wide range of important factors checks out. Such as billing address and IP address matching. As well as CVV and AVS matching. Doing your fraud prevention this will not be nearly as fast or as efficient but it will work. If your shop is in a high-risk industry with high volume the answer to this is probably yes. On the other hand, if you're in a low-risk industry with a low volume you will likely want to skip this service. The Free alternative mentioned above likely is the best choice in this case. For high risk or high volume e-shops, manually reviewing transactions would be a nightmare! NoFraud or a service similar would be a no brainer in this case. Ultimately you will have to decide if the time, convince, and extra peace of mind gained worth it for you. This one an easy one. 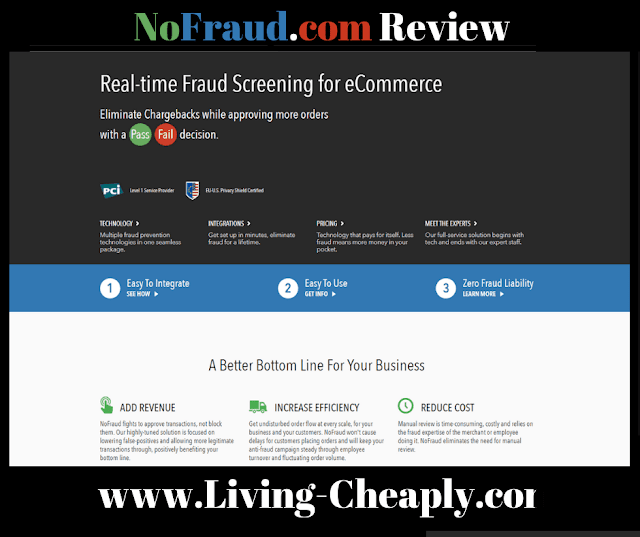 NoFraud is no scam and as a great name among e-commerce shop owners. The only complaint you will hear is their price and that is understandable. Again no brainer they provide a legitime service and only ask for information that is standard for fraud prevention services. Still, I understand not wanting to send sensitive information over the internet. Even though they are a legit service I cannot promise hackers won't ever hack their system and get your information someday. If that is a concern of yours you might even get lucky and still get your order even after ignoring their request but I would not count on it. Living Cheaply would love to hear about your experience with NoFraud Checks in the comments below. Do you currently or have you in the past used them for your e-commerce store? Do you feel like their service was worth it? Also, we would love to hear from customers who have dealt with them as well. Did you feel like you were being scammed? Please let us know, we would love to hear feedback on this site!